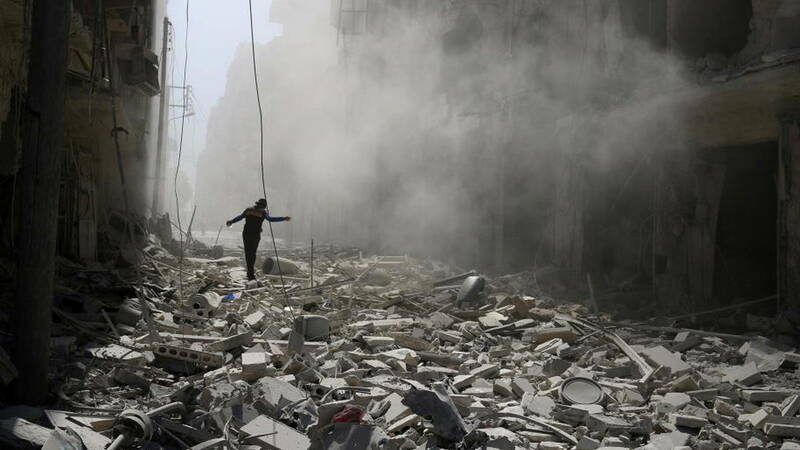 We, perhaps like you, have been feeling overwhelmed, grief-torn, and helpless about the cresting violence in Syria. After months of a siege that has starved civilians, this week’s final military crushing of eastern Aleppo has left many in the US confused about how to show solidarity with Syrian civilians under the gun. The evacuation/ceasefire deals of this week came too late for many, and are not proving to guarantee any safety let alone humanitarian aid for besieged civilians. News on the ground is that some rebel forces have evacuated but tens of thousands of civilians remain trapped when evacuation was halted on Friday. We continue to call for an end, rather than an increase to US military intervention. We call for all governments including our own to stop their aggression or complicity with the killing. Because of the US government’s role in this bloody conflict, we have a responsibility to not only grieve this unfathomable suffering and loss of lives, but to push all our government to find ways to get civilians safely out of war zones. In the past few days, the Syrian government has been committing summary executions of civilians. In the past few years, a full half the country’s population, 11 million people have been killed or forced to leave their homes. When our governments refuse or drastically limit the 4.8 million Syrian refugees that have fled the country, this is the reality they and we are accomplices to. Donate to refugee support/relief efforts, including the Palestinian Youth Movement – USA’s project “Dignity, Survival and Community for Refugees” in Greece. Prepare to increase the fight for migrant and refugee rights. Join fights for sanctuary cities and other sanctuary spaces. Help people connect the dots between US-led imperialism, war, and trade deals that cause people to be displaced. Below are some resources to better understand the situation in Syria. The level of polarization over interpreting the war in Syria has become almost unfathomable, and seeking out multiple perspectives including those of Syrian civilians is key. It is vital for those of us working for liberation to put in the work to better educate ourselves, so that we can be more nuanced and less binary when it comes to Syria. These conversations will be hard and we need to be brave and proactive. We must be more visionary. We can’t stay silent on certain issues because of “political principle” — we must approach our search for a better a way with our hearts and with our humanity. History will remember what the world did as Aleppo falls. There will be Before Aleppo and After Aleppo. We are rocked with helplessness, outrage, wild grief, and the culpability that we – the “international community”- have utterly failed the children and adults who are being bombed and executed in this drawn out massacre. Please, don’t turn away from Aleppo, or from the US government’s multi-tentacled strategy of destruction in the region, from the continued bombing of Iraq, to the US & Saudi war against the people of Yemen. Regardless of how you analyze the political landscape, war crimes are being committed by the Syrian government with its aligned forces, and the opposition groups, and tens of thousands of noncombatant children and adults are dying. It could have been you. It could have been me. It could be our families. For some of you, we know it is your families. We have no apologies big enough but to say we must do better because Never Again means never again for anyone.